How Should THE TERMINATOR Be Rebooted? 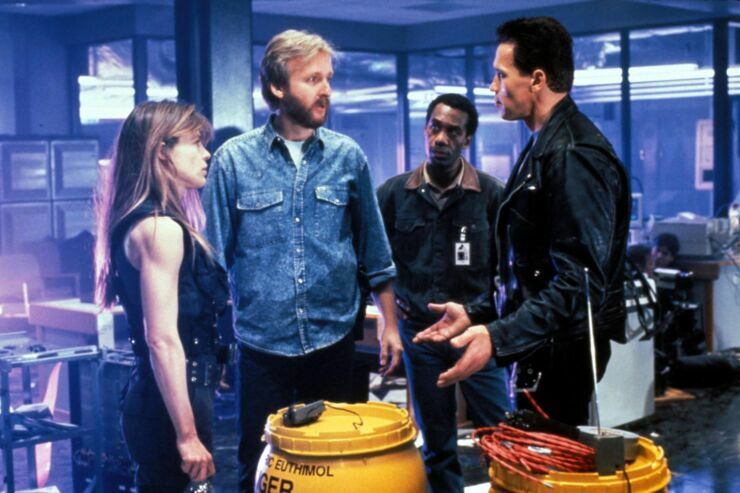 After the not-so-great Terminator sequels James Cameron will be making a new Terminator trilogy to reboot and conclude the franchise he created. Cameron of course directed the first two beloved movies in the series that fans still love, and after that have came sequels, lots of sequels, that seemed to get increasingly worse. 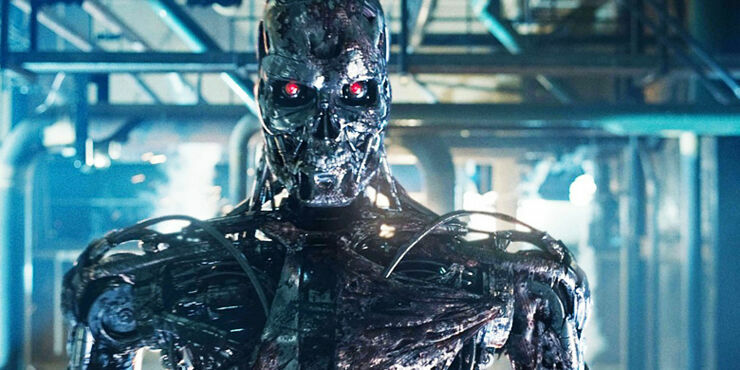 But now Cameron has expressed interest in making a new Terminator trilogy reboot, after the rights to the series come back into his hands in 2019. In a recent interview the director spoke about his plans to reclaim the franchise after the crappy sequels and make not one—as he's previously said—but three new movies. The question is — has the franchise run its course or can it be freshened up? Can it still have relevance now where so much of our world is catching up to what was science fiction in the first two films. We live in a world of predator drones and surveillance and big data and emergent AI (artificial intelligence). So I am in discussions with David Ellison, who is the current rights holder globally for the Terminator franchise and the rights in the US market revert to me under US copyright law in a year and a half so he and I are talking about what we can do. Right now we are leaning toward doing a three-film arc and reinventing it. We'll put more meat on the bones if we get past the next couple of hurdles as and when we announce that. Cameron has not really been a fan of the sequels so far, his favorite seeming to be Terminator: Genisys which got panned by critics. Cameron hasn't been too vocal about his distaste the direction of the franchise has taken mainly because his friend (and Terminator) Arnold Schwarzenegger has been in most of them. They didn't work for many fans of the original movies either for various reasons. Mainly because they sucked. So a new Terminator trilogy could bring the franchise back into the hands of the man who started it all and hopefully rescue it from the mediocrity of the sequels. And go some way to taking away the stain they left on two of the greatest Hollywood sci-fi movies of modern times. Lets face it, Terminator 6 needs to be made by Cameron. At the moment Cameron is directing the Avatar sequels, which there are four of with the first one of those due in December 2020. But if they get the green light, then hopefully Cameron can start working on this new Terminator trilogy, starting with Terminator 6, which with Tim Miller on directing duty could turn out to be very interesting indeed.